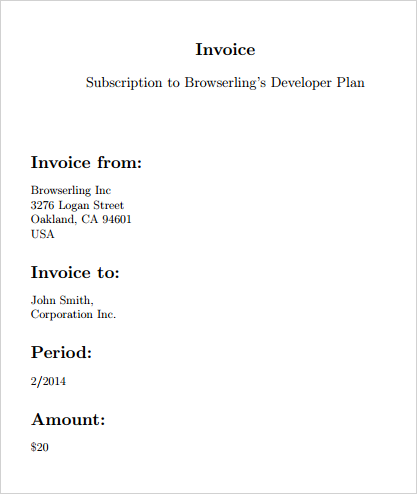 We recently added invoices to Browserling. I thought I'd share how we did it as it's another interesting story. And here are the implementation details. Once the pdf invoice is generated, we create a token that maps to the pdf file, and once it's requested, we send it to the customer as an application/pdf.